The view from Devou Park in Covington is magnificent. Many, perhaps most, people believe the hilltop resort provides the very finest perspective to appreciate Cincinnati. That is certainly the opinion of folks who publish the many postcards featuring panoramas snapped from Devou Park. Very few of the sightseers enjoying the beauties of Devou Park stop to ponder how much their delight was paid for through prostitution and slum tenements. It didn’t start out that way. What we know as Devou Park was originally the family estate of William P. Devou and his wife, Sarah Ogden Devou. William was a milliner; he made and sold hats. He earned enough to buy hundreds of acres of Northern Kentucky hillside around 1860 and moved his family to the bluffs overlooking the Ohio River. The Devou homestead still exists. It is now the older part of the Behringer-Crawford Museum. 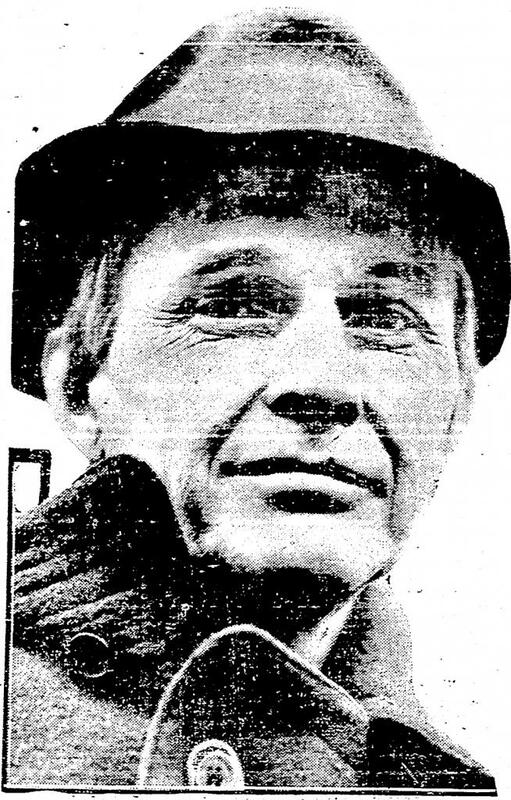 Headshot of William P. Devou Jr.
Devou the Elder was no mad hatter. He made scads of money and sent his sons to Europe for college educations. William Junior and Charles came home and worked briefly at dad’s hat shop, but William had other plans and began buying property, lots and lots of lots, as it were. It was said that William P. Devou Jr. never sold property, only bought more. He was very much a hoarder. He made a fortune renting his many properties by the day, the week or the month. Rents ran $3 to $7 a month for a room, more for a house. His rent receipts were printed on two sides. One side had the receipt form, the other was an eviction notice if the tenant skipped a rent payment. Although the United States Army forced Cincinnati to slam a lid on the Tenderloin during World War I, prostitution remained the primary occupation along George Street well into the Great Depression. It’s estimated that as many as 70 brothels housing some 700 prostitutes lined George Street and the neighboring Sixth and Longworth streets between Plum and John. This was the heart of William P. Devou’s real estate empire. He owned around 120 buildings inside the Red Light District. Many of these brothels were elegant and sumptuously furnished, but that was due to the madams who ran the houses, not because of the cheapskate landlord. 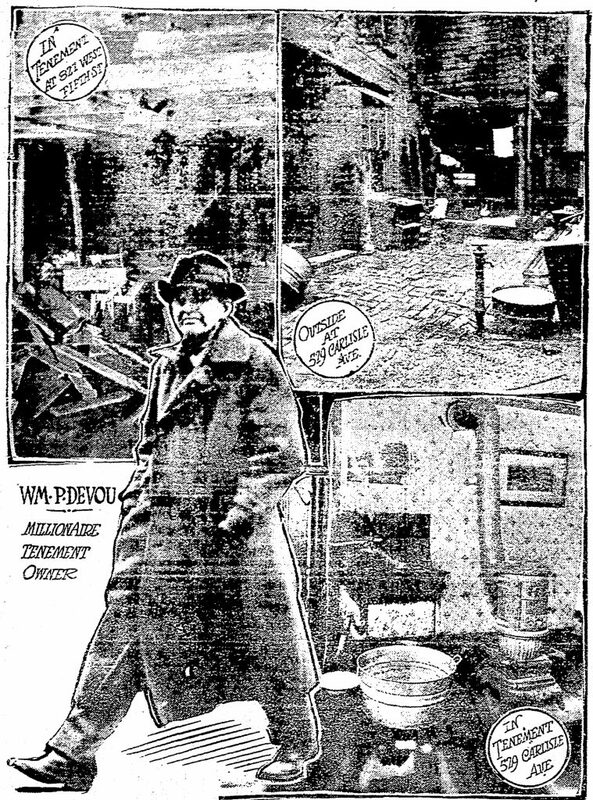 The progressive, anti-Boss Cox Cincinnati Post ran many articles about the horrible conditions of Devou’s tenement buildings. Devou largely ignored the attacks, paid his fines and continued to buy property and collect rents. Next articleIs Cincinnati Too Focused on Quick-Fix Schemes?